Kelly Tours now offers rental units for indoor or outdoor seating at events such as parades, races, festivals, sporting events, tournaments and more. Units are available for lease within Savannah, Georgia and the surrounding low country. Our high-quality aluminum temporary event seating meets all safety requirements. Includes transport, setup, and take down of the bleacher units for your convenience. 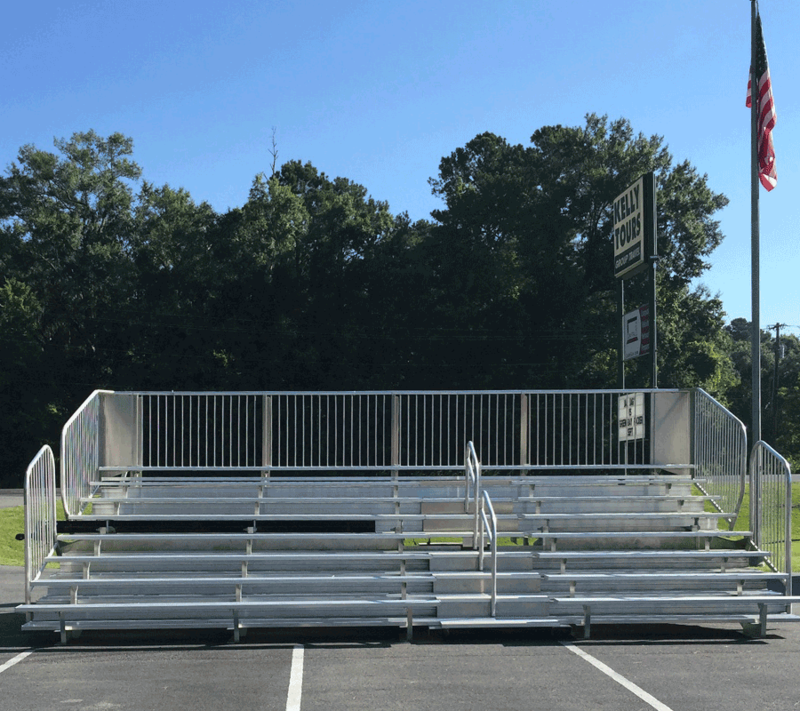 Fill out the form below to receive an estimated price for bleacher rentals.